Here, we have another online business opportunity, that just emerged to the online world. It goes by the name, Nspire Network. Nspire Network is a Multi-Level Marketing (MLM) company, that sells women and men related product’s, and health supplements. The company has an affiliate program that provides a business opportunity. Now at first blush, the company sounds like it could earn you a decent living from home. However, there’s different opinions about this company, and I would to discuss them. Some regard it as a scam, while others look at it as being a legit online business. But let’s look into the details of this business, to see whether it’s worth giving a try, or not. What is Nspire Network and How it works? 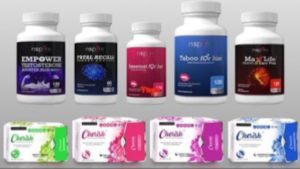 Nspire Network is a company that sells healthcare supplements, as well as feminine product’s to women looking to better their health. Though most of their product’s specifically cater towards women, they also offer product’s that could possibly help improve sexual, and mental health, in men. Like most Multi-Level Marketing companies, Nspire Network does not do any research, or manufacture it’s own product’s. The product’s are instead manufactured and distributed by separate manufacturers, with some kind of agreement with the company. 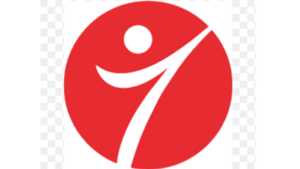 The company follows a Multi-level Marketing (MLM) business model, and offers a business opportunity to it’s affiliates. In order to do business with Nspire Network, you will have to invest in one of their affiliate packages. The cost of joining the company varies, and depends on which package you’ve decided to sign-up for. The minimum cost to join Nspire Network, is $99.00. You may contact them via phone, email, or thru sending a letter to their home office address, provided on their official website. Once your request is received and accepted, you may then begin earning money with them. Before you can do this , you’ll first need to purchase your very own website address. Once you’ve purchased your own personalized website address, you’ll be able to promote the company’s product’s, and be able to recruite future member’s. Just like any typical MLM business, different ranks are provided to it’s members based on the number of recruits they’re able to accumulate weekly/monthly. Then, you are rewarded on those sales accordingly. The material used for advertising is provided by Nspire Network. You cannot use or create your own advertisements, unless it’s checked out and approved by the company. Information about the owner of the company, isn’t available on Nspire Network’s official website. However, after doing a little bit of research, you may also find that previously, Spencer Iverson was listed as the president, and founder of the company on the company’s website. But due to unknown reasons, this information was removed from Nspire Network’s website. Nspire Network is also a US based company, which is located in Atlanta, Georgia. Their a relatively new company, which was launched within the year 2017. The products and services of Nspire Network? 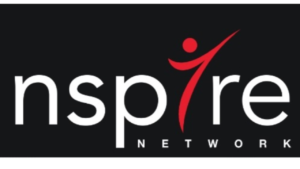 Nspire Network provides different product’s, that all exist within the health and wellness industry. Most of these health product’s are related to specific health problems in women. Some of their healthcare product’s are also aimed at improving men’s health. Almost all the product’s offered by Nspire Network (except for their special napkins), include different kinds of vitamin supplements, that claim to improve your physical, sexual, and mental health. But the product’s are not FDA approved (which is a big deal!). The product’s offered by Nspire Network are researched and produced thru their personal hired, third party groups. The product’s of Nspire Network are listed below. There’s no official documentation available on their website, that specifically discusses their compensation plan. However, you may find this information within the website’s official welcome video, and on it’s pre-launch, and after-launch reviews. The affiliates of Nspire Network are awarded with ranks. The rank awarded to it’s affiliates depend on the affiliates GV (Group Volume) level. As the Group Volume grows, the rank of an affiliate also grows. Group Volume or GV, is the total amount of sales generated by an affiliate and the affiliates recruits. Then there’s a commission qualification. Affiliates are required to generate PV (Personal Volume) between 25 and 100, each month, in order to get paid. Personal Volume, or PV, is the amount of money that affiliates spend on the product’s themselves. The PV volume depends on the ranking of the affiliate. For example, 25 PV, is almost equal to $28 of products ordered from Nspire Network. Affiliates are able to earn money, mainly through retail, and recruiting commission’s. An affiliate gets 40% of their commissions, for all products sold personally. An affiliate can earn money through recruiting, or referring someone to the company’s affiliate program. New recruits start off by signing up for the builders package, which sells for $99. The affiliate then earns a total of $25 in commission’s, once the sign-up process is complete. 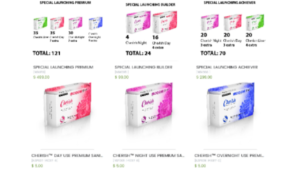 The Achiever Package is available for $299, and the Premium Package for $499. You earn $75 on the $299 deal, and $125 on the other, if future affiliates happen to choose one of these packages. Good sales: The product’s of Nspire Network are popular. Especially their sanitary napkins. Therefore if you gave it some sort of effort, you should be able sell something. Less populated: Since Nspire Network is around 2 years old, it’s less populated, and still has a lot of potential for growth, and expansion. When a Multi Level Marketing company grow’s older by at least 3 years, they usually become overpopulated. When this happens, it makes it more difficult for affiliates to recruit, or to make money. Credible ownership: The founder of Nspire Network Spencer Iverson, has a successful past with other various businesses. He co-founded the “Worthy of Millions” institute, in 2008. Spencer is regarded as a credible businessman. This adds a certain sense of credibility, reliability, and security to the company. Non FDA approved products: The product’s of Nspire Network have not been clinically tested, or approved by the Food and Drug Administration (FDA). The FDA ensures that a product work’s as described, and that it’s good health benefits far out weigh it’s potential bad benefits, or bad side effects associated with using the products. Without the FDA’s approval, Nspire Network product’s lack solid credibility, period. People who try to avoid buying non-FDA approved drugs or products, might want to refrain from being involved with this type of business. Less informative website: The official website of Nspire Network, does not contain enough information explaining it’s business, nor does it provide a decent amount of info concerning it’s compensation plan. This lack of information creates serious doubts about the business. It also makes it difficult for people who want to join the company’s affiliate program. Commission qualification: In order to be eligible for payout, you would have to sell a certain amount of products, each and every month. This means that if you are not able to sell the same amount or more of the companies products according to your company ranking, you won’t be able to get paid at all. My conclusion: Is Nspire Network a scam? Nspire Network is a Multi Level Marketing company, that provides an online business opportunity to it’s affiliates. The company’s products are popular around, but not FDA approved. The company’s affiliate program requires a lot of consistency, time, patience, and effort. 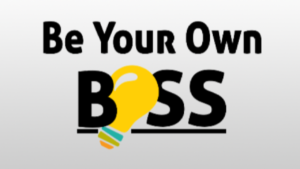 So, if you are looking for passive income online, this might not be the right business for you. As far as Nspire Network being a scam, there’s really not much wrong with the company. So with that being said, Nspire Network does not seem to be a flat out scam. However, if your looking for passive income, you should try other options. The company is relatively new, so many folks don’t know much about it. It’s products are not FDA approved, which may make it difficult to sell the companies products. More so, in order to get qualified for commission’s, it would require a lot time, patience, and effort. So, if your new to the MLM business and online marketing, this may not work out that well for you. With that being said, would you happen to have something to say about your experiences with making money working with Nspire network? Maybe something to add? If you do, please take the time and leave your comment at the bottom of this post. I would love to know what’s on your mind! Thanks for checking out my post, and good luck with all your success online!